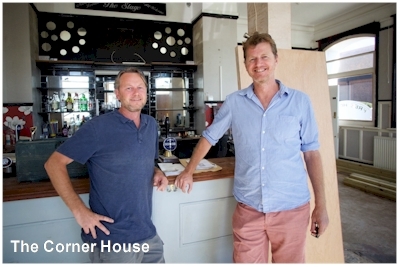 Tim & Mat Taylor, the two brothers behind the Beach House on Marine Parade, have recently purchased the Stage, aka the Jack Horner / Anchor. The plans are to turn the building into a family friendly place to eat and drink, taking advantage of the large recently extended exterior. 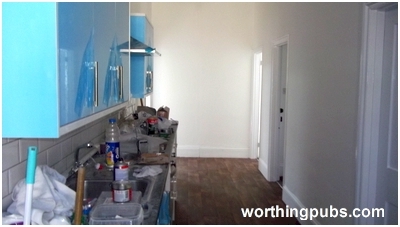 Inside it promises to be bright and cheerful. 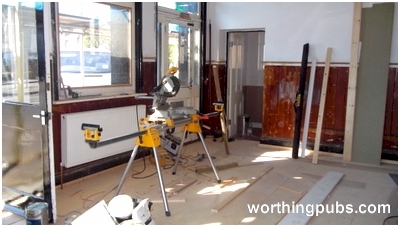 Worthing pubs were recently invited around to see the work in progress. Opening is planned before the end of October. 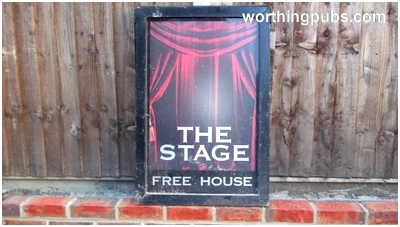 The old swing sign, a hark back to its past as the Stage. 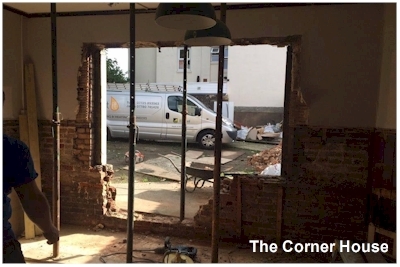 The back of the pub will have a large glass patio door giving easy assess to the rear garden which is currently being paved. 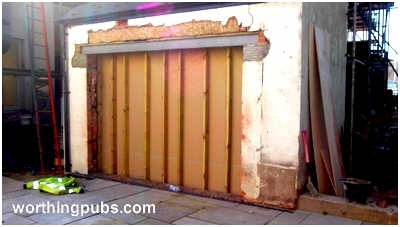 An old storage area and out building have been knocked down to increases the usable size. Despite the gardens north-east position, it is a sun trap. 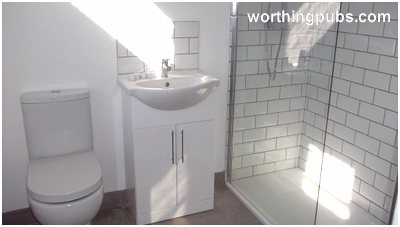 The upstairs interior is deceptively large and has been completely renovated to a clean modern style. 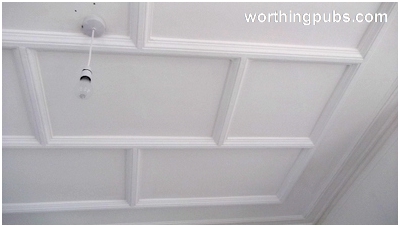 A rare nod to its past can be found on the bedroom ceilings featuring decorative mouldings which have been retained. The Taylor brothers have clear plans for its future. BACK IN HISTORY . . . 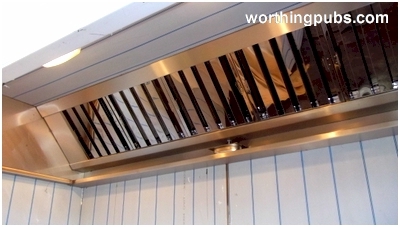 Known to many as The Anchor it was originally called The Golden Anchor. 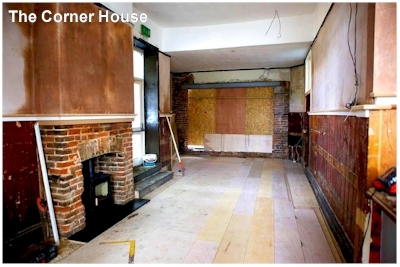 Later it became the Jack Horner, The Stage and now The Corner House. The current building, a rebuild dates from around 1895. 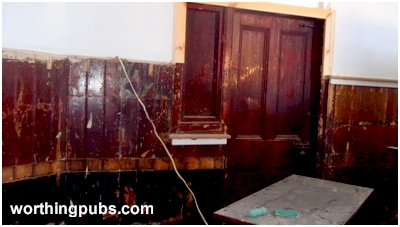 The original building goes back to at least 1805 and was a much larger structure. At that time the land included stabling and a pleasure ground with Archery and a bowling green. 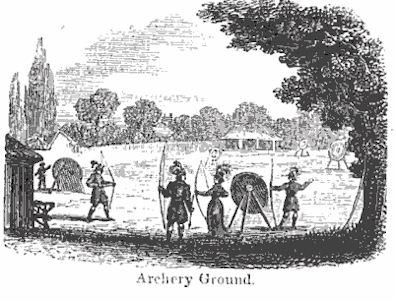 It is worth noting that before the days of pistols, archery practice was obligatory. Records show that it was occasionally used for coroners inquests - most notably that of smuggler William Cowerson in 1832, who was killed escaping from the customs officials of the time. The name may have originated from the word 'Anker', a measure of brandy (10 gallons) and the Golden refers to its colour. 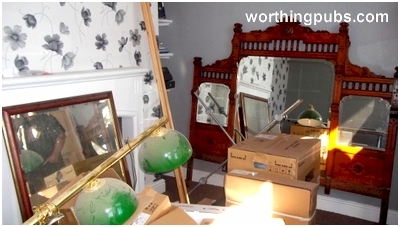 Guide books at the time also refer to the poverty of Worthing where land could be purchased for as little as 'half an anker'. 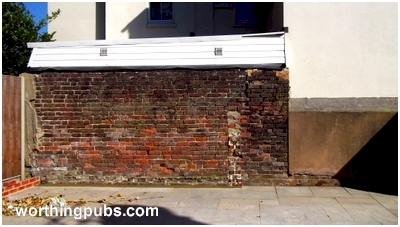 Lyndhurst Road was originally Anchor Lane changing in 1874. 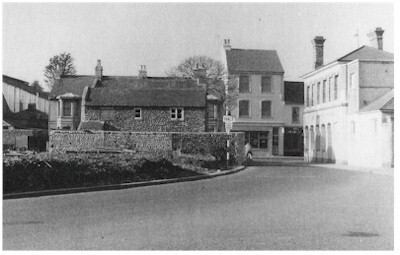 All the buildings shown here other than the pub have since disappeared due to road widening and a large chain supermarket. 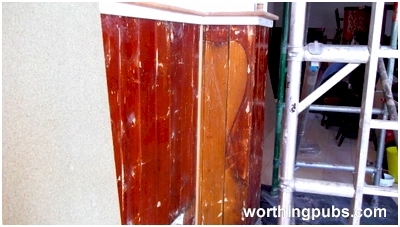 Sometime in 1881, as revellers left the inn, they may have had trouble believing what they were seeing - before their very eyes was a windmill, which wasn't there when they went in! The mill in Cross Street was on the move. 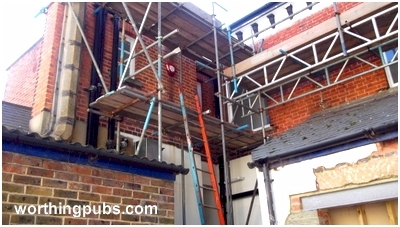 Due to recent building work, the mill no longer received the wind it required to turn and so the owner decided to relocate it to Park Crescent. 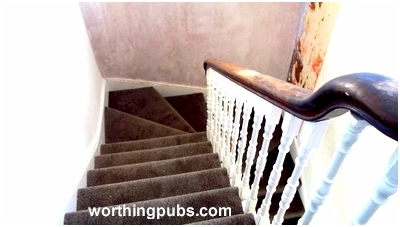 In doing so, it became stuck on the sharp bend just beyond the Anchor Inn and was not freed until the next day. The sketch above was drawn at the time by George Truefitt. 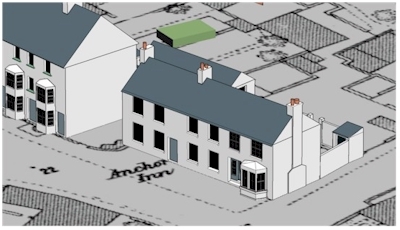 A street plan view of the Anchor in 1877, a very different building from what we see today. 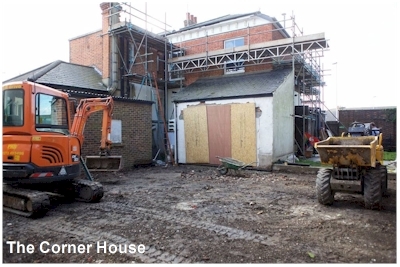 There is clearly a yard in the front with an outbuilding and an almost formal garden in the rear. One thing that has become quite clear, is that the large amount of room available behind the building would easily support a stable block, or as claimed in one written work, an archery practice range. 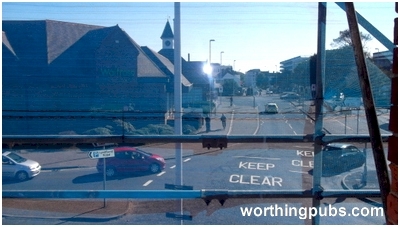 Working from a model of Worthing in the local museum, an old map of 1877 and a rough scale I was able to create an impression of what the earlier building may have looked like. 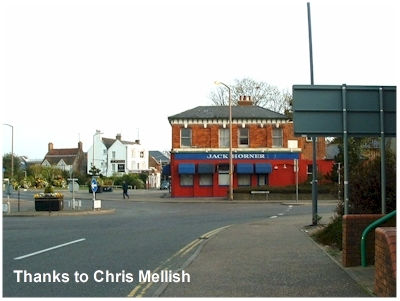 The pub entrance itself would have been on the end nearest the junction, an ideal place to catch the eye of the passing traveller. The rest of the structure would have been for overnight accommodation, a requirement of any building calling itself an Inn. 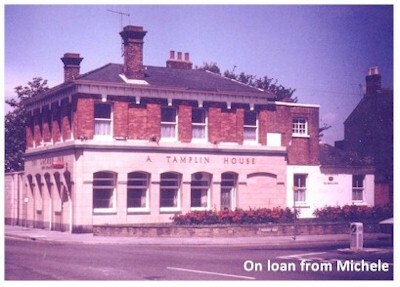 Lorraine Pavett, a landlady of the Jack Horner, changed the name of the pub to The Stage. This may possibly be to reflect the number of drag acts that perform there. 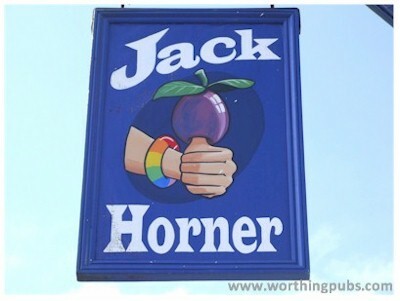 The Jack Horner was Worthing's first openly gay pub and the Stage carried on this tradition. 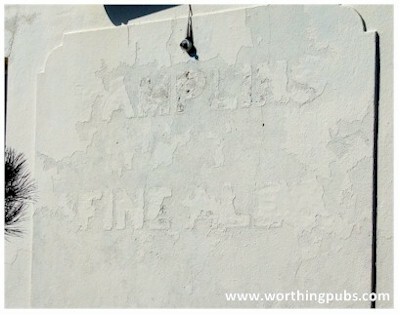 The pub sign from the Jack Horner found in the enclosed decked garden on the north side of the pub during its transition into The Stage. 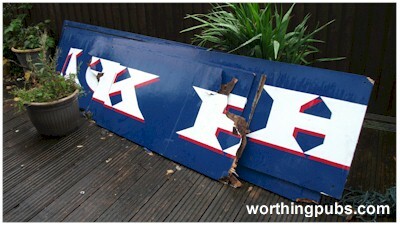 Sadly, the original swing sign was in a bad state of repair and fell apart when it was brought down. It has recently come to light that around the late 1970s, the Anchor had a successful Tug-of-War team that travelled to France on day trips to compete in competitions. 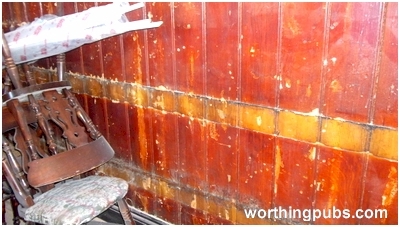 (Thanks to Sandra by the way for that) Does anyone remember or have any pictures of cutting we could use here? 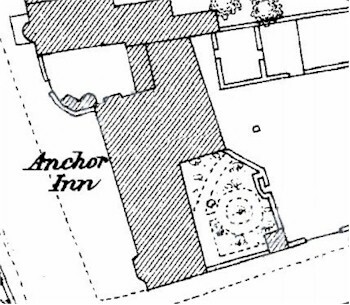 "the Anchor, High street, connected with the latter is an extensive archery ground, which receives considerable patronage. 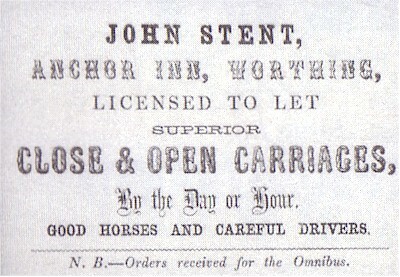 Charge for the use of bows, arrows, &c. &c and entrance, 1s. 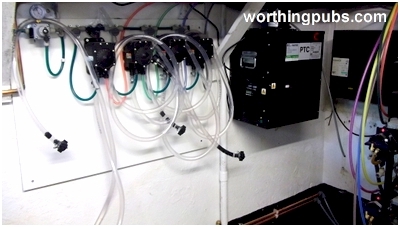 (One Shilling) It is open from 9AM to 5PM"
The article is accompanied by the picture on the right. We would like to think it is the archery ground itself. 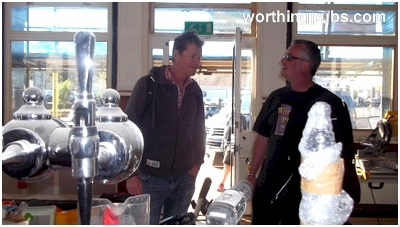 Nick bought the pub on the 10th of August 1999 and officially opened it to the public on the 13th of August (the same day as the Solar Eclipse). He bought the lease off someone named Roger Philips. 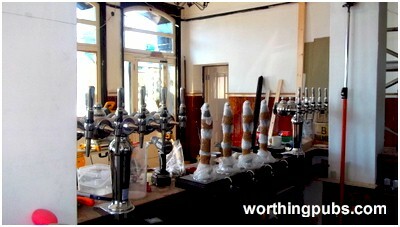 Nick had the pub until 2010 when it changed hands. 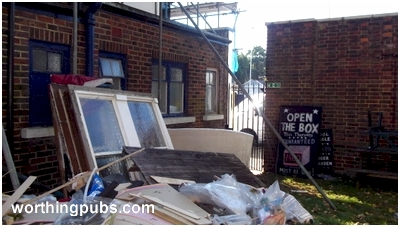 I believe it went to the owner of the Smugglers Pub, this owner didn't change the name, but there was definitely someone else before Loraine. Nick told me that back in 'horse and cart' days, they used to hold public inquests within the grounds. 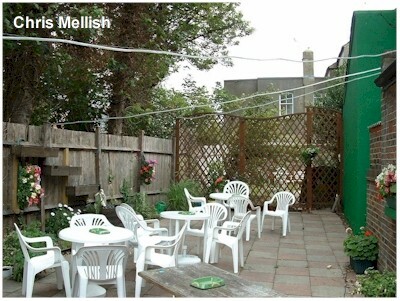 He also said, many years ago, the back garden was home to a firing range and that up until he left in 2010 you could still find led shots in the ground. 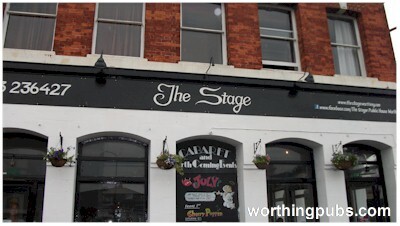 Nick introduced weekly drag acts, featuring some big scene names that attracted massive audiences and a total first for Worthing. 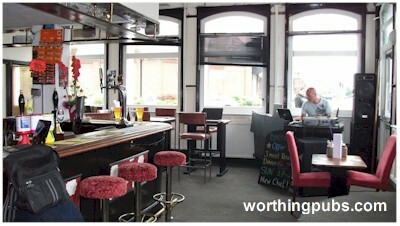 There was also a weekly Karaoke on a Thursday that also pulled in a great deal of people from around Worthing. 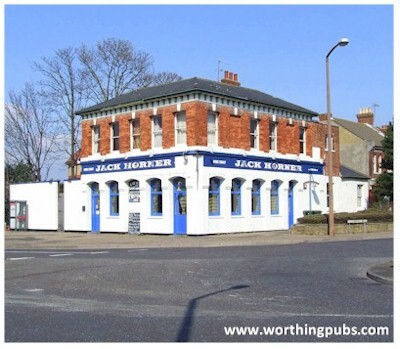 Both the drag acts and Karaoke nights are what helped The Jack Horner really make a name for itself in Worthing. I have to mention it wasn't Loraine that started this, it was very much Nick, Loraine just tried to continue the legacy. 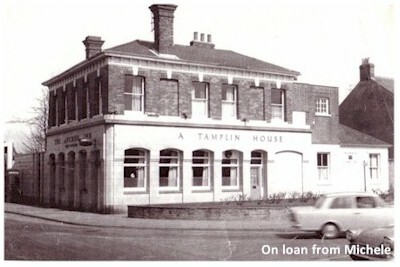 The pub was also home to fancy dress nights and even put on pantomimes at Christmas that featured the staff of the Jack Horner performing.